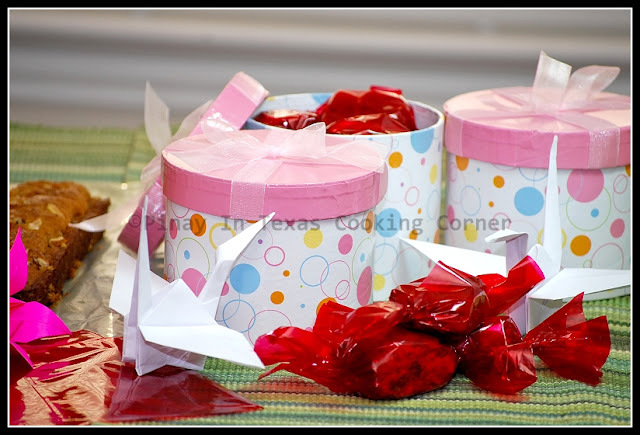 Pinay In Texas Cooking Corner: Online Bake Sale for Japan: Let Us Raise Some Dough! Online Bake Sale for Japan: Let Us Raise Some Dough! The tragedy in Japan is truly a worldwide concern. First is the earthquake, followed by the tsunami and then the nuclear crisis. My heart goes out to the people of Japan who are going through so much right now. I've been trying to find the best way to help. There are a a lot of established, reliable organizations that are accepting donations for Japan like the Red Cross, Unicef, The Salvation Army, Save The Children Federation and the US Mercy Corps...but I want to do something more. I've always believed that (in all circumstances) aside from financial contribution, there's no better way to help than sharing whatever God-given talent you have. I'm sure that God has led me to the food blogging community to share my talent in cooking, and now is the perfect time to do it for a meaningful cause. A fellow food blogger, Sabrina Modelle of The Tomato Tart is organizing an online bake sale which will be held, auction style, on her website on March 30. Bidding on baked goods and other sweets pledged by participating foodies will go live for one day, but preview of all the items will be up by the 28th. Participating foodies will mail each item to the highest bidder by April 11. I want to invite all of you out there to join us in this effort to help Japan. You don’t have to be a food blogger to participate. You can either bid on an item or donate your baked goodies. Or you might want to involve your organization by offering a corporate sponsorship, or matching any portion of the proceeds. Contact Sabrina at . Tell her you want to help and she’ll send you the details. Bless you for joining the bake sale and helping those in needs in Japan. May you get 100 times in return for whatever you do. :) It just warmed my heart to know so many bloggers out there who come together to lend a helping hand. respect to everyone who are willing to help out, this is fantastic.